I bought self print sheets. 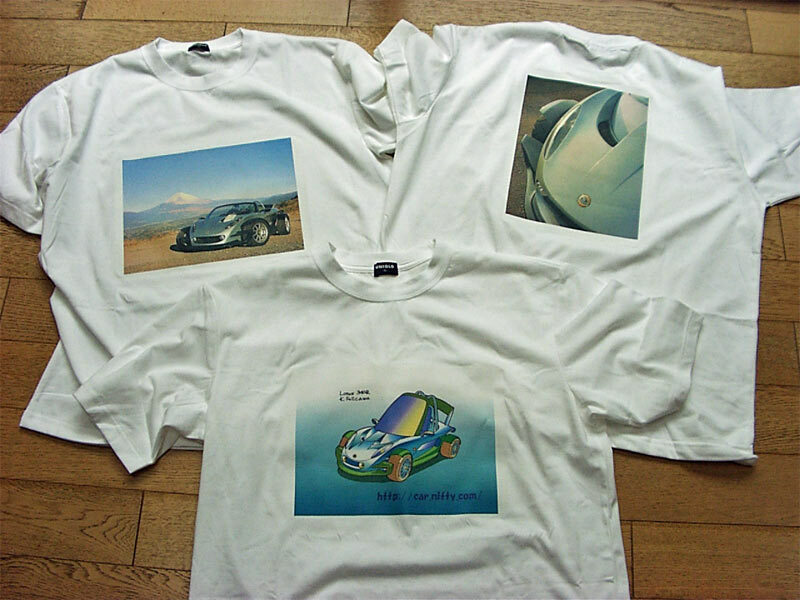 First I print a picture with PC printer on the sheet, and I iron the sheet on a T-shirt. In TV, I heard that I can do same with normal papers with Mayonnaise! "A man was surprised at hearing that Lotus made Excel." I couldn't laugh it, because I didn't know that it's a talk about PC. When I started my 340R, I connected the clutch at 4500rpm. With slipping, it's bad for the clutch. You should do it at 5500rpm. I was inspired by a picture in the web page of webCG. You can take expressive photos, too. Many owners wrote on my BBS about the troubles of battery in winter. My dry battery stopped after 2 weeks travel, because the security alarm kept working. After this, my battery doesn't stop over 10000km!